If you have already booked your freediving or yoga course in Bali, chances are, you are well aware of the immense benefits the Great Outdoors can bring. One well-known study by the Loyola University Health System found that nature has a powerful effect on our physical and mental health. “When we walk in a forest or park, our levels of white blood cells increase and it also lowers our pulse rate, blood pressure and level of the stress hormone cortisol,” noted Dr. Aaron Michelfelder, researcher. However, when we include mindfulness-based practices such as yoga and meditation into the experience, the results are all the more beneficial. Depression and anxiety are the two most common mental conditions faced by human beings on a global scale. A study published inJAMA Internal Medicine found that mindfulness meditation improves symptoms of anxiety, depression, and pain. It also reduces levels of cortisol (a stress hormone) and boosts quality of life. 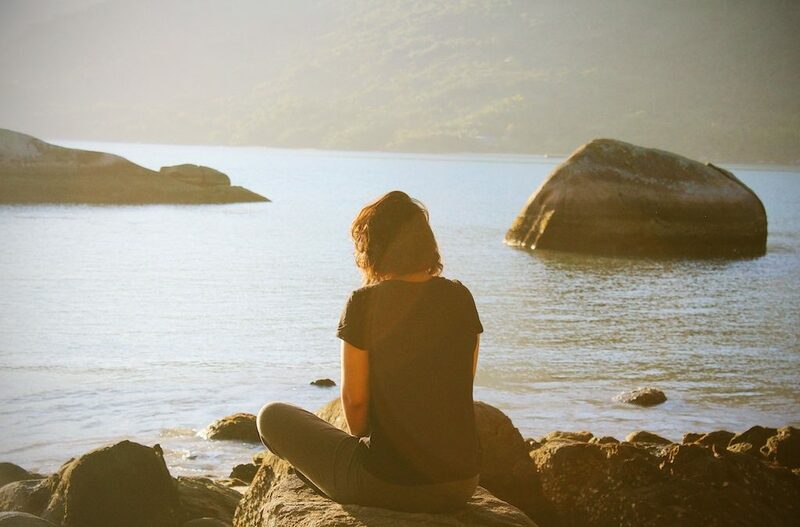 The scientists concluded that doctors “should be prepared to talk with their patients about the role that a meditation program can have in addressing psychological stress.” Mindfulness meditation, like other spiritual practices, boosts mental health by keeping the mind in the present moment. During a session, practitioners are encouraged to recognise and feel all emotions, even the difficult ones, yet understand that these emotions are impermanent and do not define who they are. A study by scientists at Massachusetts University showed that taking part in an eight-week mindfulness meditation program fostered measurable changes in the parts of the brain associated with memory, sense of self, empathy, and stress. The study showed that among meditators, grey matter density was increased in the hippocampus, which is vital for learning and memory, as well as in structures that play a role in self-awareness, compassion, and introspection. There is a reason why the world’s most highly solicited yoga and meditation retreats take place by majestic natural settings such as mountains, lakes, forests, or seas. Nature boosts the effects of meditation because simply visiting a green area or seaside setting lowers levels of stress hormone, cortisol. Various studies have been carried out on this subject, with amazing results. For instance, one study found that people who exercised by looking at natural scenery enjoyed their workout much more. Another found that when offices were filled with plants, employees improved their performance. Still, other studies have focused on the role that time in nature can help children with ADD/ADHD. Mindfulness meditation and other types of meditation, including transcendental meditation, wields countless benefits, including greater vitality, better mood, a heightened sense of empathy, and more. However, nature experiences have similar effects. Imagine the combined power of joining these two activities. Most interestingly of all, the benefits you will receive will last for years after intensive meditation training. Of course, because meditation is so beneficial, it is a practice we should keep up for our lifetime.